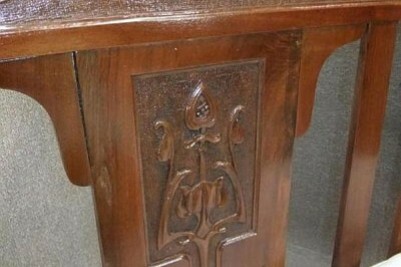 A magnificent, circa 1900, classical piece of art nouveau furniture. 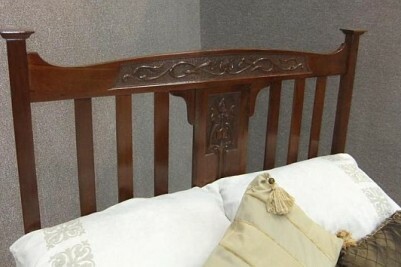 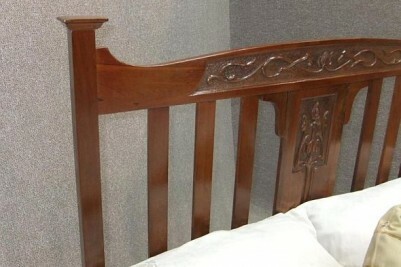 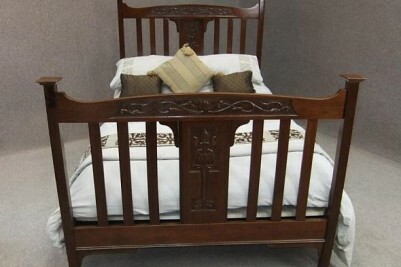 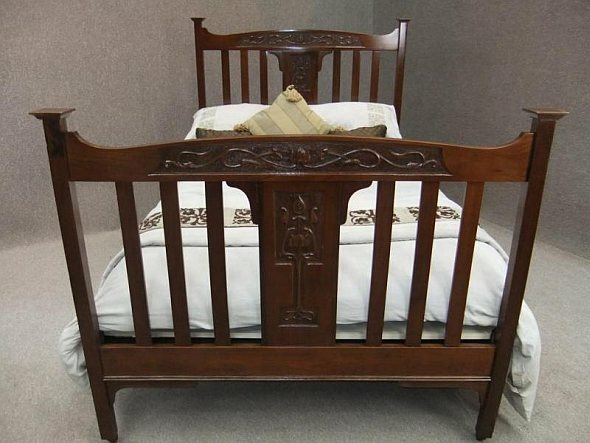 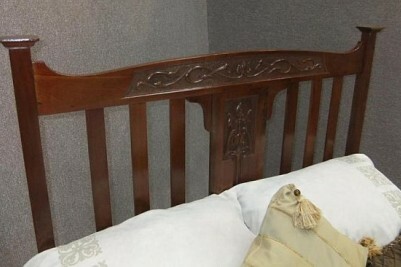 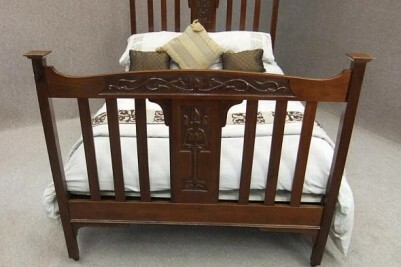 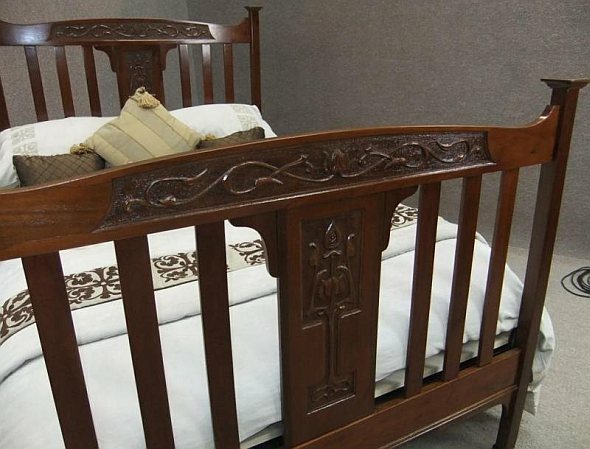 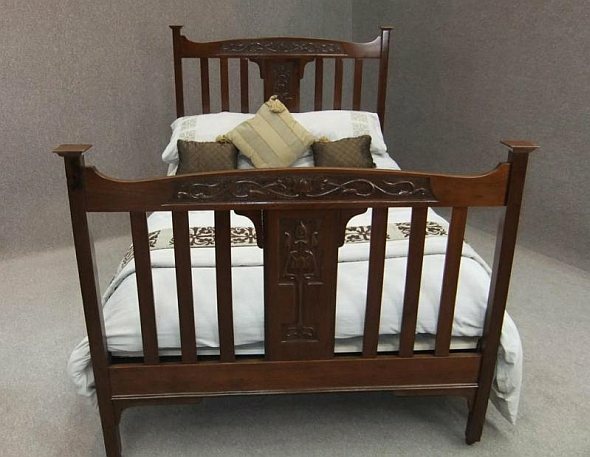 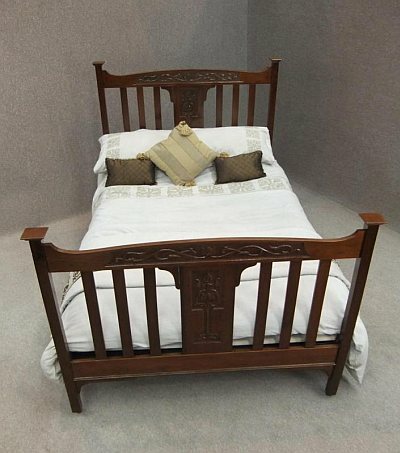 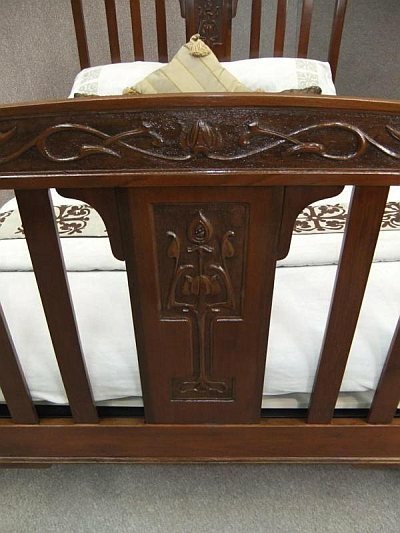 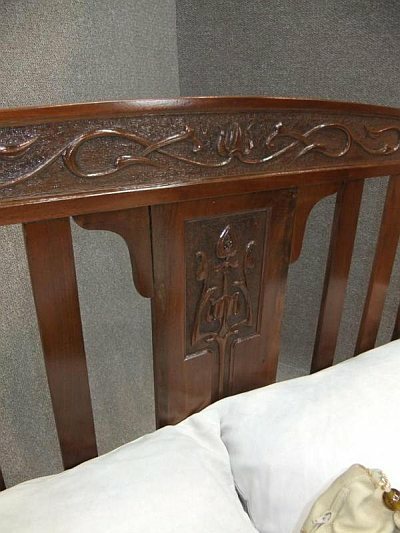 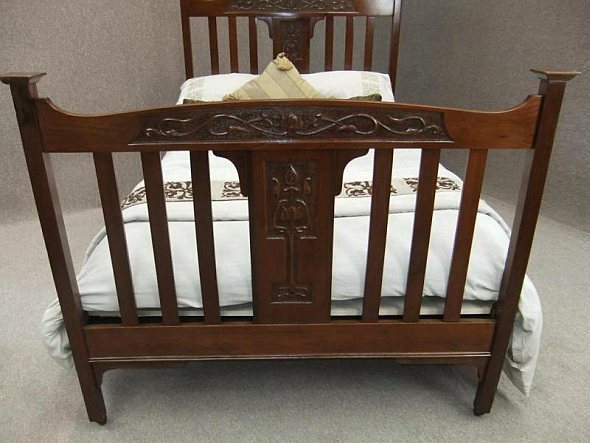 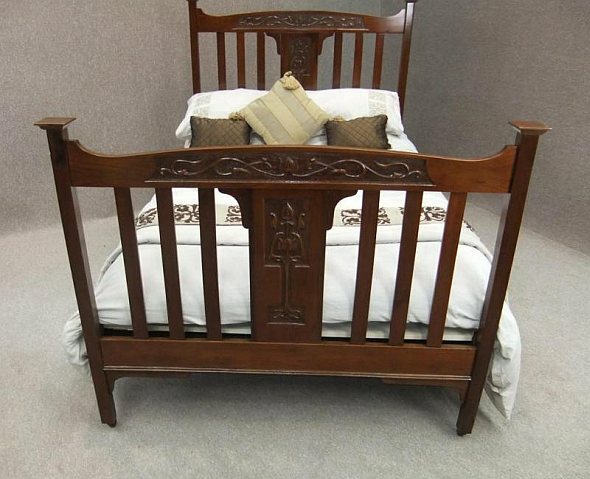 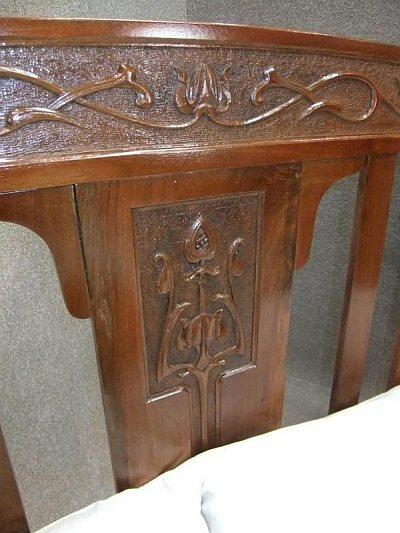 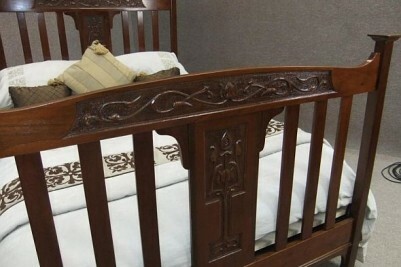 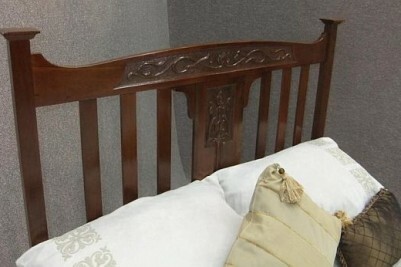 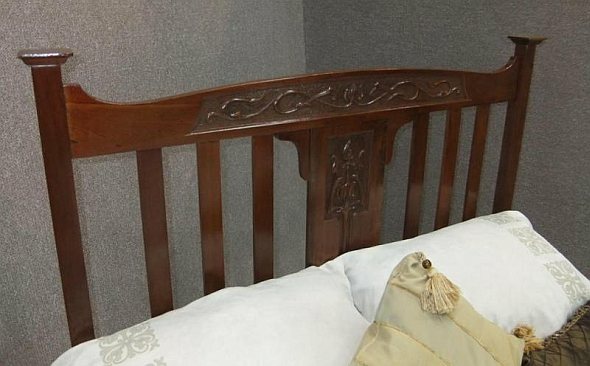 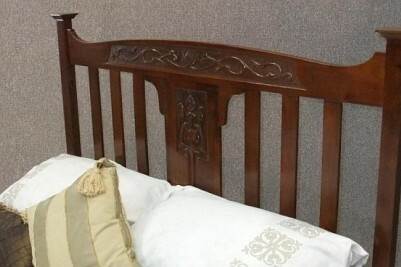 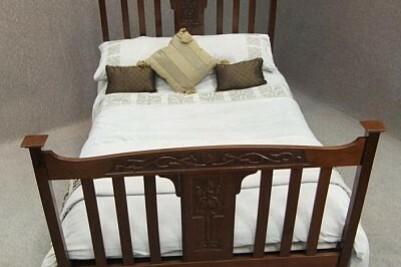 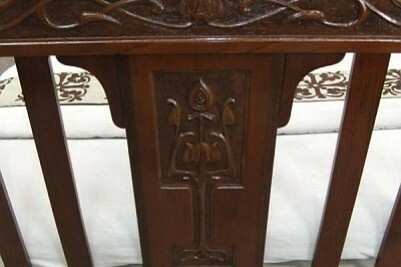 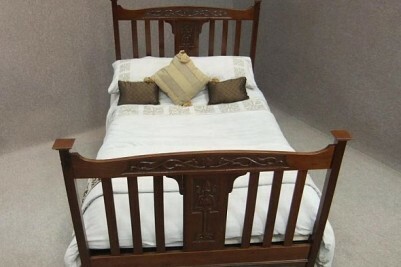 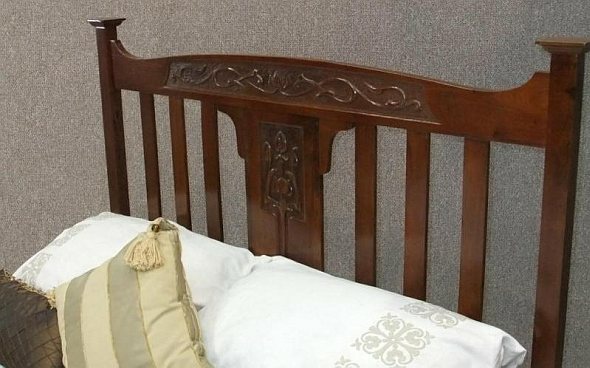 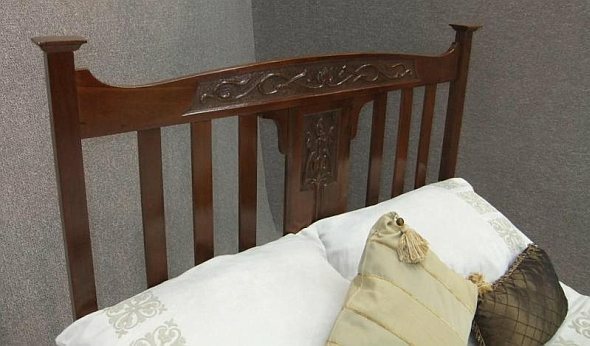 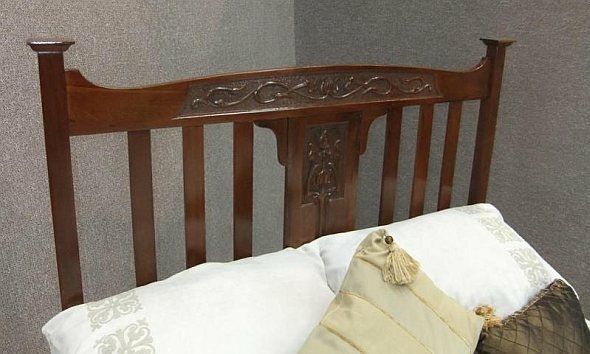 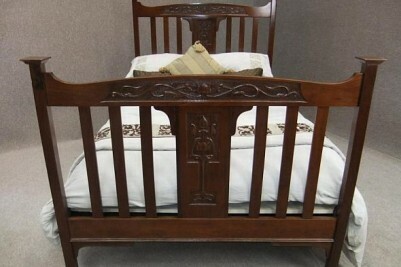 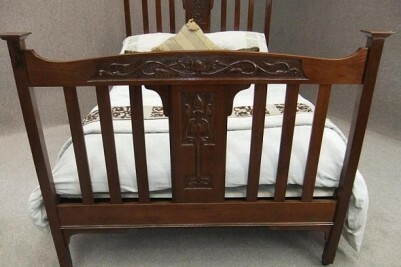 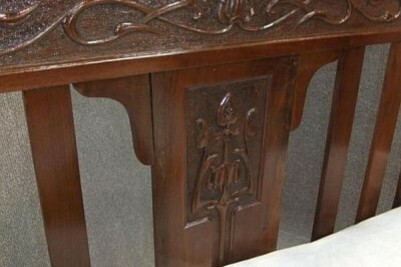 Featuring a unique carving to its headboard and footboard which has a swept design; this leads down a centre carved panel with tulip motif. 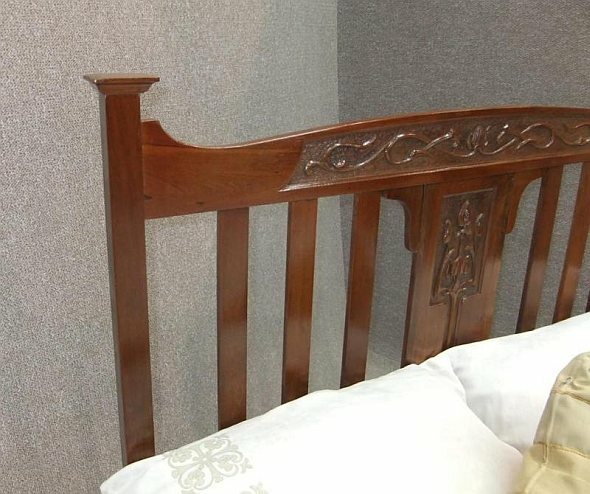 The headboard and the footboard are supported by robust side irons which can easily support one of our newly made slatted bed bases, or a traditional folding sprung base which is included in the price. 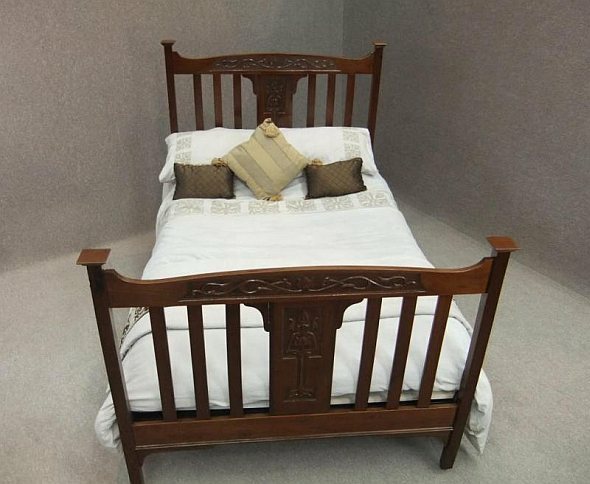 Please state which bed base you require when ordering. 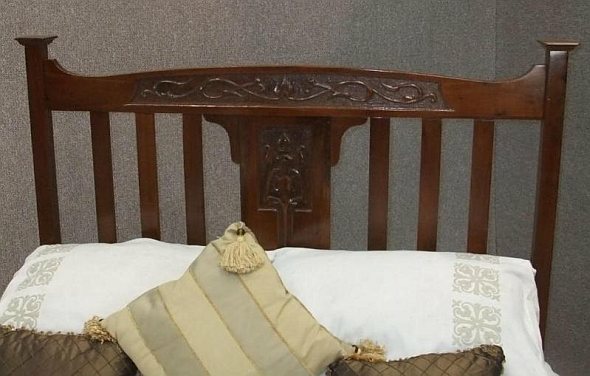 This art nouveau double bed is in beautiful condition, as it has been recently re-polished to really bring out the beauty of the colour and the grain.